Das Institut für Theoretische Physik trauert um Prof. Dr. Tobias Brandes. Er verstarb völlig unerwartet am 2.2.2017 im Alter von 50 Jahren. Mit ihm haben wir viel zu früh einen ausserordentlich geschätzten Kollegen und einen herausragenden Hochschullehrer verloren. Seinen Angehörigen gilt unsere tiefe Anteilnahme. 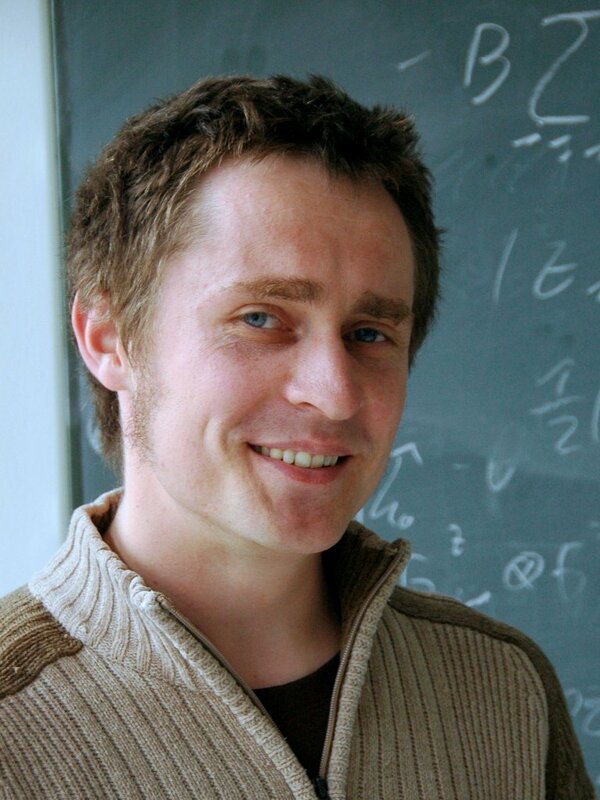 The Institute for Theoretical Physics mourns the decease of Prof. Dr. Tobias Brandes. He suddenly passed away on the 2.2.2017 at the age of 50 years. We have lost an extraordinarily appreciated colleague and an exceptional scientist. May our deepest condolences go to his family and friends. In der Arbeitsgruppe können Bachelor- und Masterarbeiten angefertigt werden. Bei Interesse melden Sie sich bitte per email oder kommen Sie in die Sprechstunde (Di 13-14 Uhr). We are glad to announce the 640. W. E. Heraeus Seminar on non-Markovianity and strong coupling effects in thermodynamics. Please find more information in our website. Die Arbeitsgruppe beschäftigt sich zur Zeit stark mit Quantenkohärenz, Quantenoptik, und Vielteilchen-Effekten in niedrigdimensionalen Festkörperstrukturen. Ein wesentlicher Schwerpunkt ist die Schnittstelle zwischen elektronischem Transport und quantenoptischen Effekten. Uns interessiert ein breites Spektrum theoretischer Probleme, die von eher abstrakten Fragestellungen (z.B. der Definition quantenmechanischer Verschränkung in Vielteilchen-Systemen oder im Nichtgleichgewicht) über neue physikalische Modelle und Methoden (z.B. für nanomechanische Systeme) bis hin zu elektronischen, optischen und elastischen Materialeigenschaften (z.B. Phononen) reichen. Dementsprechend kommen verschiedene Techniken zum Einsatz - exakte Lösungen, rein numerische Berechnungen, und häufig Kombinationen analytischer und numerischer Methoden. Die Arbeitsgruppe ist an zahlreichen internationalen Kooperationen beteiligt, u.a. Madrid (R. Aguado, G. Platero, D. Marcos, R. Sanchez), Prag (T. Novotny), Tainan (Y.-N. Chen), Tokyo (N. Lambert). Under non-equilibrium conditions, bosonic modes can become dynamically unstable with an exponentially growing occupation. 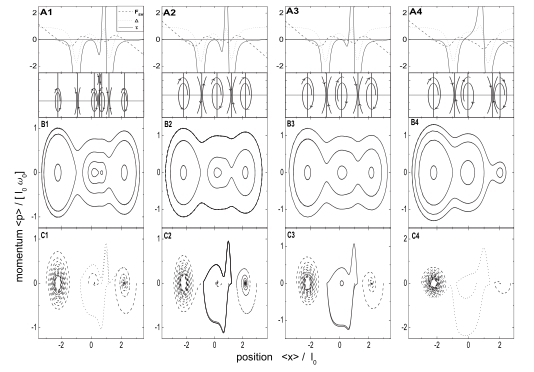 On the other hand, topological band structures give rise to symmetry protected midgap states. In this letter, we investigate the interplay of instability and topology. Thereby, we establish a general relation between topology and instability under ac-driving. 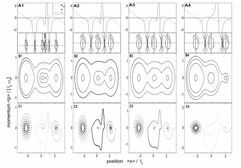 We apply our findings to create dynamical instabilities which are strongly localized at the boundaries of a finite-size system. 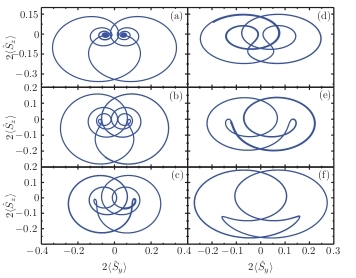 As these localized instabilities are protected by symmetry, they can be considered as topological instabilities. 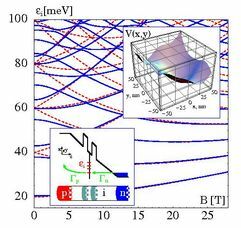 On top of the mean-field analysis of a Bose-Einstein condensate, one typically applies the Bogoliubov theory to analyze quantum fluctuations of the excited modes. Therefore, one has to diagonalize the Bogoliubov Hamiltonian in a symplectic manner. 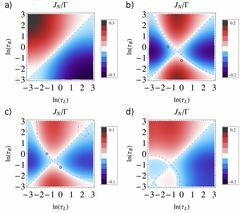 In our article, we investigate the topology of these Bogoliubov excitations in inversion-invariant systems of interacting bosons in one dimension. We analyze, how the condensate influences the topology of the Bogoliubov excitations. Analogously to the fermionic case, we here establish a symplectic extension of the polarization characterizing the topology of the Bogoliubov excitations and link it to the eigenvalues of the inversion operator at the inversion-invariant momenta. 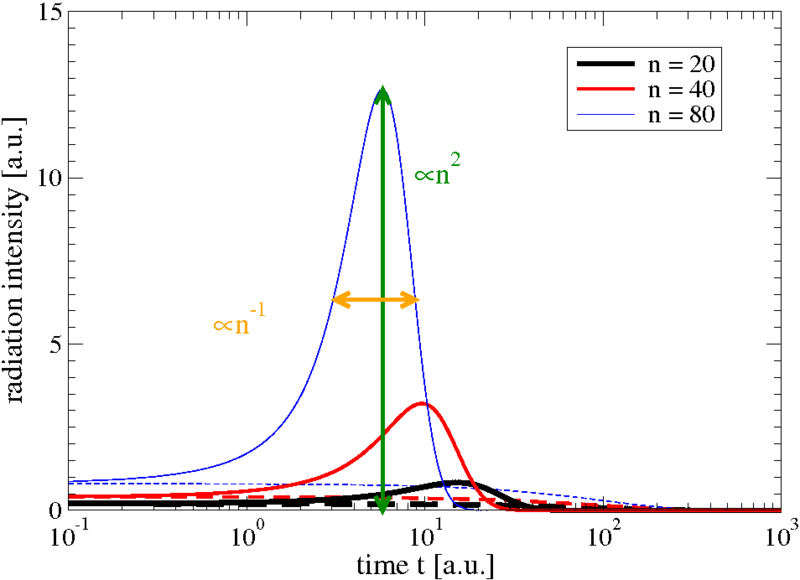 We also demonstrate at an instructive, but experimentally feasible example that this quantity is also related to edge states in the excitation spectrum. We apply the time-delayed Pyragas control scheme to the dissipative Dicke model via a modulation of the atom-field-coupling. The feedback creates an infinite sequence of non-equilibrium phases with fixed points and limit cycles in the primary superradiant regime. 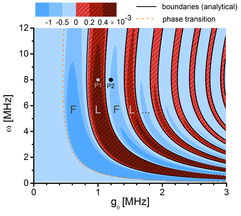 We analyse this Hopf bifurcation scenario as a function of delay time and feedback strength and determine analytical conditions for the phase boundaries. 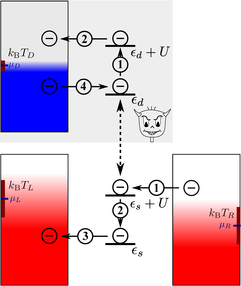 We investigate the transport through a few-level quantum system described by a Markovian master equation with temperature- and particle-density-dependent chemical potentials. From the corresponding Onsager relations we extract linear response transport coefficients in analogy to the electronic conductance, thermal conductance, and thermopower. Considering ideal Fermi and Bose gas reservoirs, we observe steady-state currents against the thermal bias as a result of the nonlinearities introduced by the constraint of a constant particle density in the reservoirs. Most importantly, we find signatures of the onset of Bose-Einstein condensation in the transport coefficients. 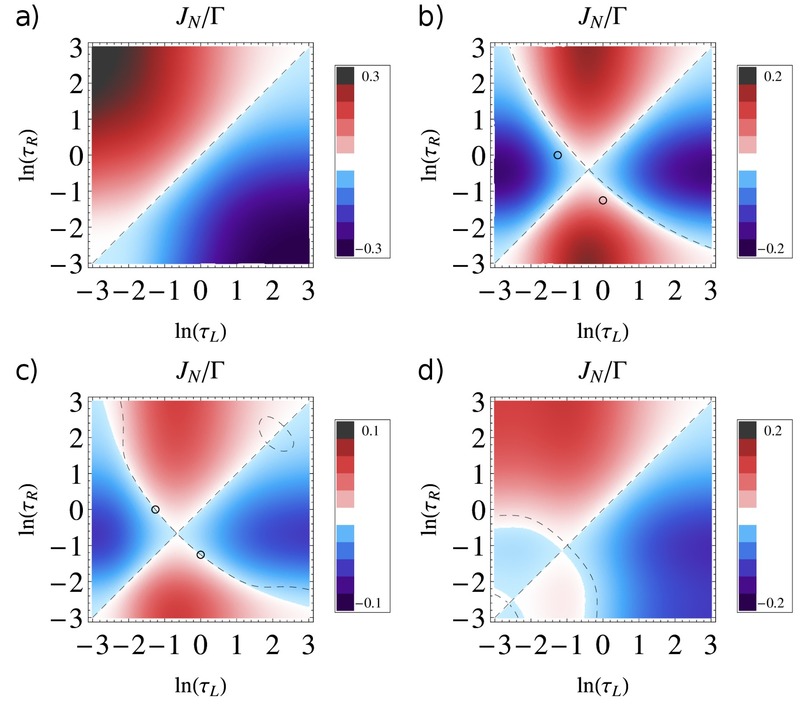 We consider thermal transport between two reservoirs coupled by a quantum Ising chain as a model for non-equilibrium physics induced in quantum-critical many-body systems. 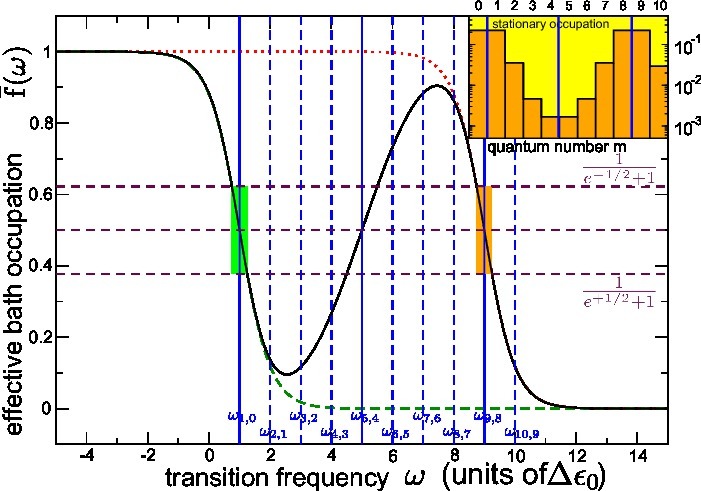 By deriving rate equations based on exact expressions for the quasiparticle pairs generated during the transport, we observe signatures of the underlying quantum phase transition in the steady-state energy current already at finite reservoir temperatures. 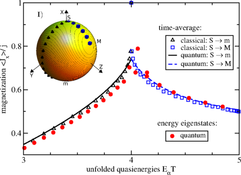 We establish a set of nonequilibrium quantum phase transitions in the Dicke model by considering a monochromatic nonadiabatic modulation of the atom-field coupling. For weak driving the system exhibits a set of side-bands which allow the circumvention of the no-go theorem which otherwise forbids the occurence of superradiant phase transitions. 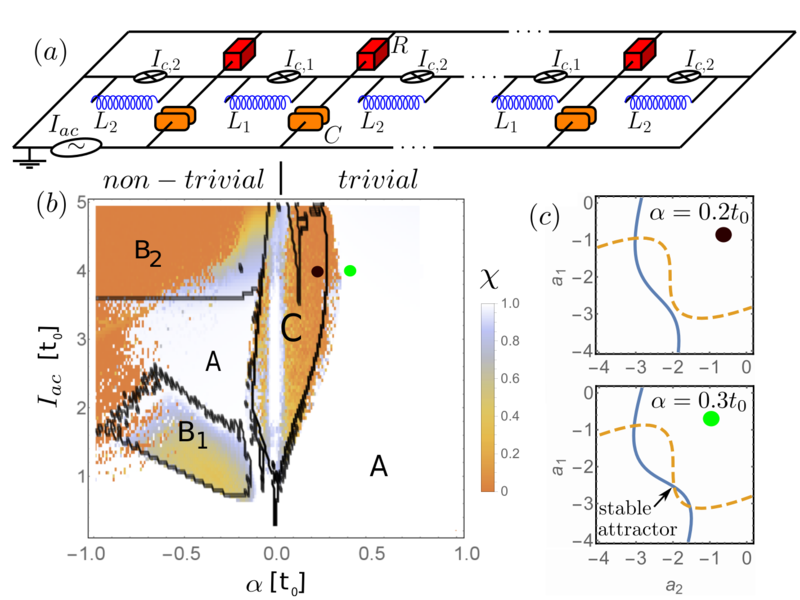 At strong driving we show that the system exhibits a rich multistable structure and exhibits both first- and second-order nonequilibrium quantum phase transitions. 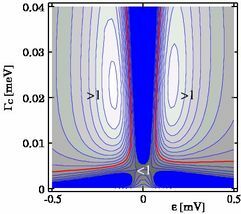 We investigate the electronic transport through two parallel double quantum dots coupled both capacitively and via a perpendicularly aligned charge qubit. The presence of the qubit leads to a modification of the coherent tunnel amplitudes of each double quantum dot. We study the influence of the qubit on the electronic steady-state currents through the system, the entanglement between the transport double quantum dots, and the back-action on the charge qubit. We use a Born-Markov secular quantum master equation for the system. 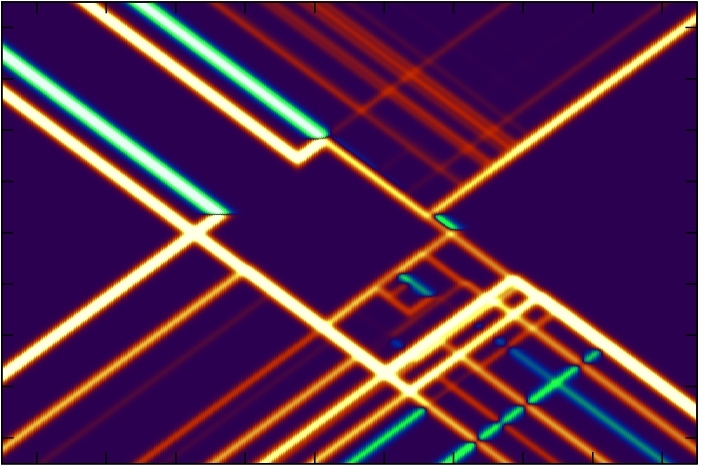 The obtained currents show signatures of the qubit. The stationary qubit state may be tuned and even rendered pure by applying suitable voltages. In the Coulomb diamonds, it is also possible to stabilize pure entangled states of the transport double quantum dots. We investigate non-linear magneto-transport through a single level quantum dot where the electron spin is coupled to a large, external (pseudo-)spin via an anisotropic exchange interaction. We find regimes where the average current through the dot displays self-sustained oscillations that reflect the limit-cycles and chaos and map the dependence of this behaviour on magnetic field strength and the tunnel coupling to the external leads. We compare the semiclassical description of nanoelectromechanical systems (NEMS) within and beyond the adiabatic approximation. 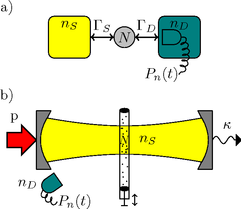 We consider a NEMS model that contains a single phonon (oscillator) mode linearly coupled to an electronic few-level system in contact with external particle reservoirs (leads). Using Feynman-Vernon influence functional theory, we derive a Langevin equation for the oscillator trajectory that is nonperturbative in the system-leads coupling. A stationary electronic current through the system generates nontrivial dynamical behavior of the oscillator, even in the adiabatic regime. The “ backaction” of the oscillator onto the current is studied as well. For the two simplest cases of one and two coupled electronic levels, we discuss the differences between the adiabatic and the nonadiabatic regime of the oscillator dynamics. We suggest that a single-electron transistor continuously monitored by a quantum point contact may function as a Maxwell demon when closed-loop feedback operations are applied as time-dependent modifications of the tunneling rates across its junctions. The device may induce a current across the single-electron transistor even when no bias voltage or thermal gradient is applied. For different feedback schemes, we derive effective master equations and compare the induced feedback current and its fluctuations as well as the generated power. Provided that tunneling rates can be modified without changing the transistor level, the device may be implemented with current technology. 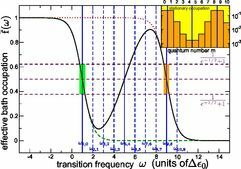 We theoretically study cooperative effects in the steady-state transmission of photons through a medium of N radiators. Using methods from quantum transport, we find a cross-over in scaling from N to N^2 in the current and to even higher powers of N in the higher cumulants of the photon counting statistics as a function of the tunable source occupation. The effect should be observable for atoms confined within a nano-cell with a pumped optical cavity as photon source. For open quantum systems coupled to a thermal bath at inverse temperature β, it is well known that under the Born, Markov, and secular approximations, the system density matrix will approach the thermal Gibbs state with the bath inverse temperature β. We generalize this to systems where there exists a conserved quantity (e.g., the total particle number), where for a bath characterized by inverse temperature β and chemical potential μ, we find equilibration of both temperature and chemical potential. For couplings to multiple baths held at different temperatures and different chemical potentials, we identify a class of systems that equilibrates according to a single hypothetical average but in general nonthermal bath, which may be exploited to generate desired nonthermal states. Under special circumstances, the stationary state may again be described by a unique Boltzmann factor. These results are illustrated by several examples. We investigate the dynamics of a single phonon (oscillator) mode linearly coupled to an electronic few-level system in contact with external particle reservoirs (leads). A stationary electronic current through the system generates nontrivial dynamical behavior of the oscillator. Using Feynman-Vernon influence functional theory, we derive a Langevin equation for the oscillator trajectory that is nonperturbative in the system-leads coupling and from which we extract effective oscillator potentials and friction coefficients. For the two simplest cases of a single and two coupled electronic levels, we discuss various regimes of the oscillator dynamics. 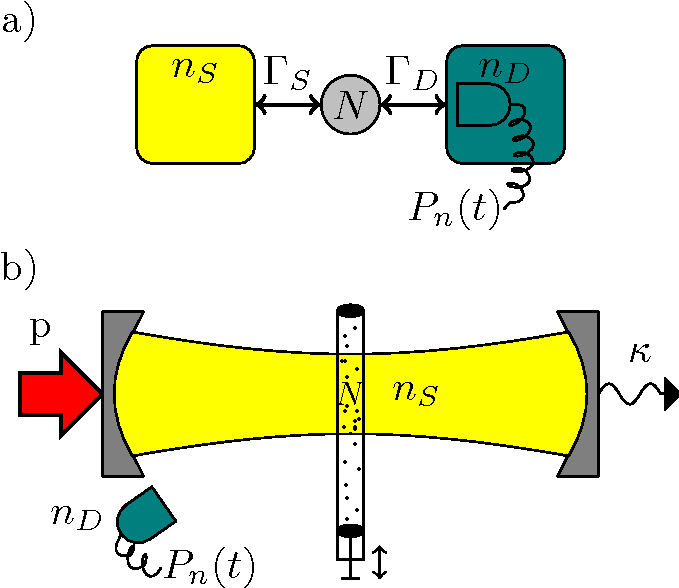 The current through nanostructures like quantum dots can be stabilized by a classical feedback loop that continuously adjusts system parameters as a function of the number of tunnelled particles n. At large times, the feedback loop freezes the fluctuations of n, which leads to highly accurate, continuous single particle transfers. For the simplest case of feedback acting simultaneously on all system parameters, we show how to reconstruct the original full counting statistics from the frozen distribution. We study the combined counting statistics of two capacitively coupled transport channels. In particular, we examine the conditions necessary for utilizing one channel as detector sensitive to the occupation of the other. A good detector fidelity may be achieved in a bistable regime when the tunneling rates through the two channels are vastly different -- even when the physical back-action of the detector on the probed channel is large. Our methods allow to estimate the error of charge counting detectors from time-resolved current measurements -- which have been obtained in recent experiments -- alone. We consider the question of how to distinguish quantum from classical transport through nanostructures. 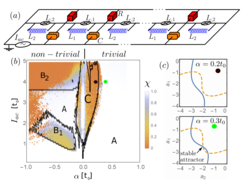 To address this issue we have derived two inequalities for temporal correlations in nonequilibrium transport in nanostructures weakly coupled to leads. 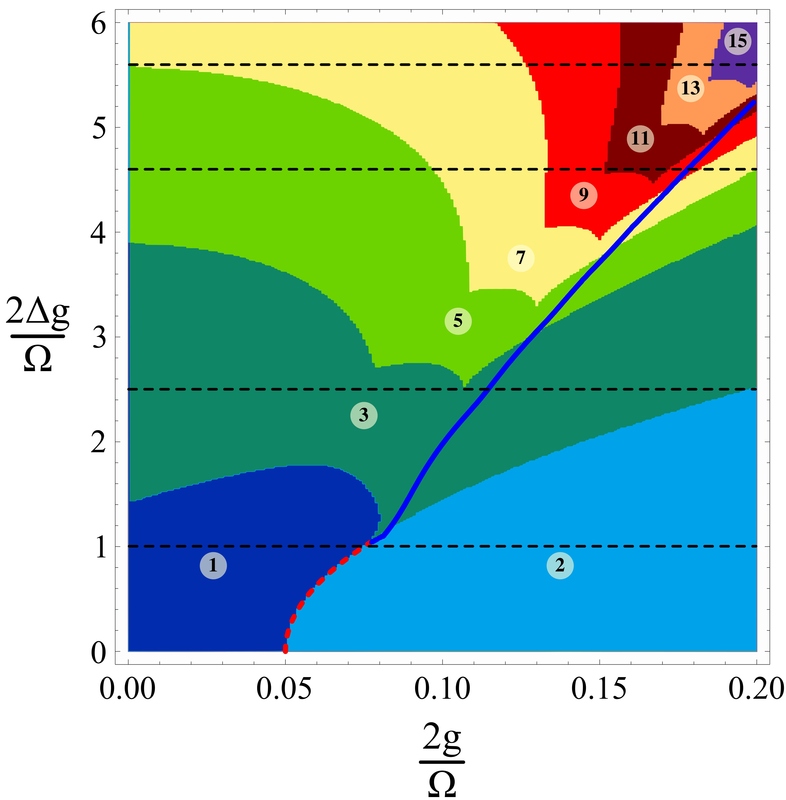 The first inequality concerns local charge measurements and is of general validity; the second concerns the current flow through the device and is relevant for double quantum dots. Violation of either of these inequalities indicates that physics beyond that of a classical Markovian model is occurring in the nanostructure. Using a generic model for stochastic transport through a single quantum dot that is modified by the Coulomb interaction of environmental (weakly coupled) quantum dots, we derive general properties of the full counting statistics for multi-stable Markovian transport systems. We study the temporal crossover from multi-modal to broad uni-modal distributions depending on the initial mixture, the long-term asymptotics and the divergence of the cumulants in the limit of a large number of transport branches. These findings demonstrate that the counting statistics of a single resonant level may be used to probe background charge configurations. We study theoretically the magnetotunneling transport through quantum dots formed by diffusion of charged manganese interstitials in the vicinity of a GaAs quantum well [Phys.Rev.Lett. 101 226807 (2008)]. In particular, we examine the lateral matrix elements between Landau subbands in the contact and Fock-Darwin-like states of an individual dot at high magnetic fields. We explicitly demonstrate the effect of spatial deformation of the dot on the wave function's overlap. The comparison with measured data suggests a selection rule similar to angular momentum conservation for tunneling into perfect Fock-Darwin states. 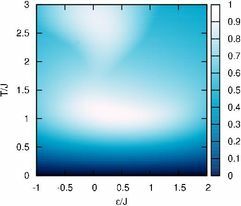 We study the entanglement dynamics in the externally-driven single-mode Dicke model in the thermodynamic limit, when the field is in resonance with the atoms. 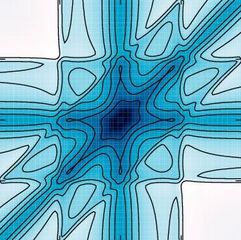 We compute the correlations in the atoms-field ground state by means of the density operator that represents the pure state of the universe and the reduced density operator for the atoms, which results from taking the partial trace over the field coordinates. As a measure of bipartite entanglement, we calculate the linear entropy, from which we analyze the entanglement dynamics. In particular, we found a strong relation between the stability of the dynamical parameters and the reported entanglement. 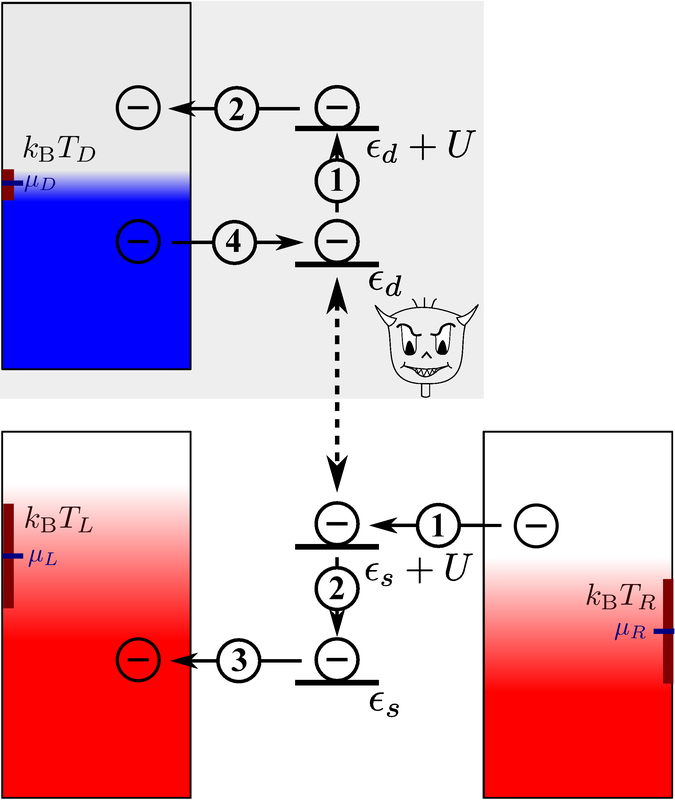 For sufficiently low reservoir temperatures, it is known that open quantum systems subject to decoherent interactions with the reservoir relax toward their ground state in the weak coupling limit. Within the framework of quantum master equations, this is formalized by the Born-Markov-secular (BMS) approximation, where one obtains the system Gibbs state with the reservoir temperature as a stationary state. When the solution to some problem is encoded in the (isolated) ground state of a system Hamiltonian, decoherence can therefore be exploited for computation. The computational complexity is then given by the scaling of the relaxation time with the system size n. We study the relaxation behavior for local and nonlocal Hamiltonians that are coupled dissipatively with local and nonlocal operators to a bosonic bath in thermal equilibrium. 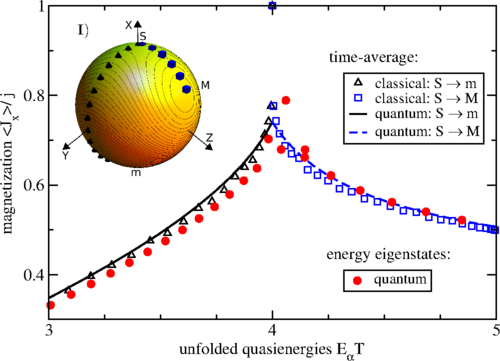 We find that relaxation is generally more efficient when coherences of the density matrix in the system energy eigenbasis are taken into account. In addition, the relaxation speed strongly depends on the matrix elements of the coupling operators between initial state and ground state. We show that Dicke superradiance is a special case of our relaxation models and can thus be understood as a coherence-assisted relaxation speedup. 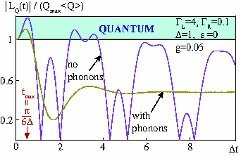 Noise is a result of stochastic processes that originate from quantum or classical sources. Higher-order cumulants of the probability distribution underlying the stochastic events are believed to contain details that characterize the correlations within a given noise source and its interaction with the environment, but they are often difficult to measure. Here we report measurements of the transient cumulants 〈〈n^m〉〉 of the number n of passed charges to very high orders (up to m = 15) for electron transport through a quantum dot. For large m, the cumulants display striking oscillations as functions of measurement time with magnitudes that grow factorially with m. Using mathematical properties of high-order derivatives in the complex plane we show that the oscillations of the cumulants in fact constitute a universal phenomenon, appearing as functions of almost any parameter, including time in the transient regime. These ubiquitous oscillations and the factorial growth are system-independent and our theory provides a unified interpretation of previous theoretical studies of high-order cumulants as well as our new experimental data. We consider theoretically the transport through the double quantum dot structure of the recent experiment of Payette et al. [Phys. Rev. Lett. 102, 026808 (2009)] and calculate stationary current and shot noise. Three-level mixing gives rise to a pronounced current-suppression effect, the character of which changes markedly with bias direction. We discuss these results in connection with the dark states of coherent population trapping in quantum dots. We formalize the derivation of a generalized coarse-graining n-resolved master equation by introducing a virtual detector counting the number of transferred charges in single-electron transport. Our approach enables the convenient inclusion of coherences and Lamb shift in counting statistics. As a Markovian example with Lindblad-type density matrices, we consider the Born-Markov-secular (BMS) approximation which is a special case of the non-Markovian dynamical coarse-graining approach. For illustration we consider transport through two interacting levels that are either serially or parallelly coupled to two leads held at different chemical potentials. It is shown that the coherences can strongly influence the (frequency-dependent) transport cumulants: in the serial case the neglect of coherences would lead to unphysical currents through disconnected conductors. 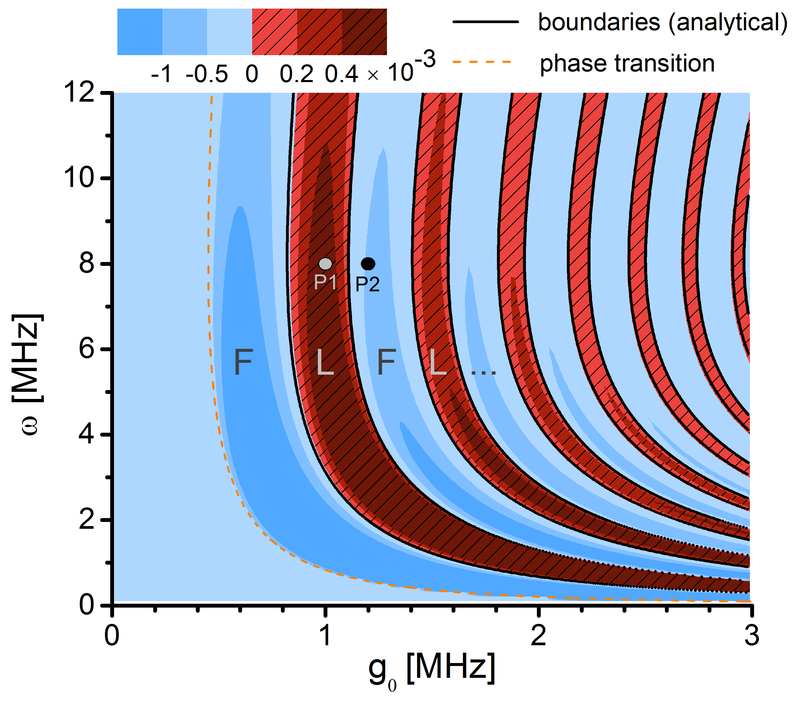 Interference effects in the parallel setup can cause strong current suppression with giant Fano factors and telegraphlike distribution functions of transferred electrons, which is not found without coherences. We demonstrate that with finite coarse-graining times coherences are automatically included and, consequently, the shortcomings of the BMS approximation are resolved. We present a theory of a single-electron transistor exchange-coupled to a localized spin. We show how to gain detailed quantitative knowledge about the attached spin such as spin size, exchange coupling strength, Landé g-factor, and spin decay time T1 by utilizing a robust blockade phenomenon of dc magnetotransport with accompanying noise enhancement. Our studies are of particular relevance to spin-resolved scanning ingle-electron transistor microscopy, electronic transport through nanomagnets, and the effect of hyperfine interaction on transport electrons by surrounding nuclear spins. We study transport through a triple quantum dot in a triangular geometry with applied bias such that both singly- and doubly-charged states participate. 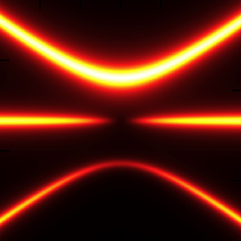 We describe the formation of electronic dark states—coherent superpositions that block current flow—in the system, and focus on the formation of a two-electron dark state. We discuss the conditions under which such a state forms and describe the signatures that it leaves in transport properties such as the differential conductance and shot noise. 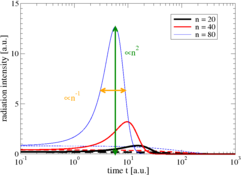 We study the transport properties of the Fano-Anderson model with non-Markovian effects, which are introduced by making one tunneling-rate energy dependent. We show that the non-Markovian master equation may fail if these effects are strong. We evaluate the stationary current, the zero-frequency current noise, and the occupation dynamics of the resonant level by means of a quantum master-equation approach within different approximation schemes and compare the results to the exact solution obtained by the scattering theory and Green’s functions. 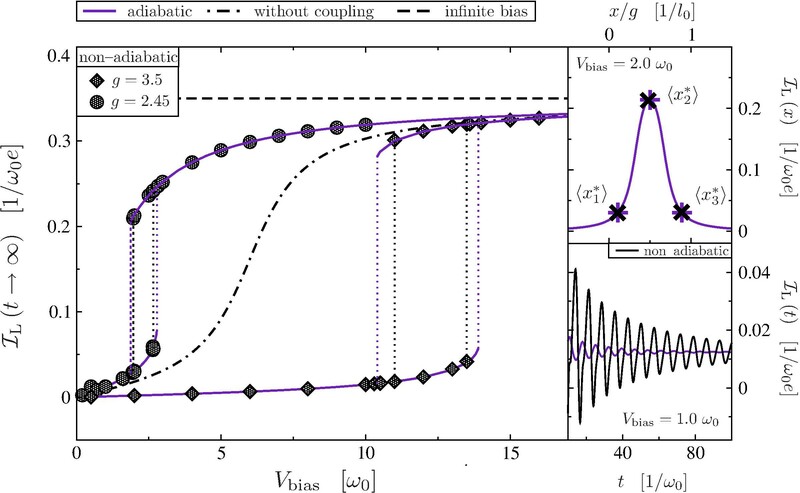 We show that the intriguing observation of noise enhancement in the charge transport through two vertically coupled quantum dots can be explained by the interplay of quantum coherence and strong Coulomb blockade. 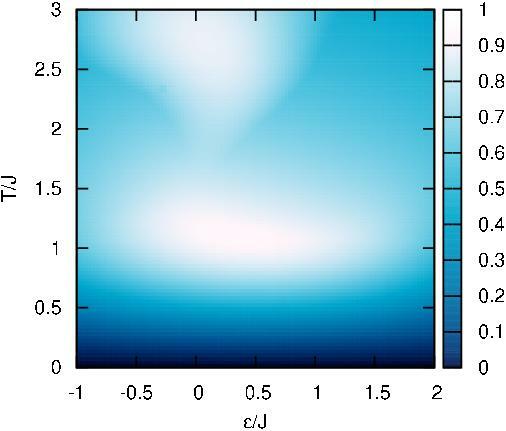 We demonstrate that this novel mechanism for super-Poissonian charge transfer is very sensitive to decoherence caused by electron-phonon scattering as inferred from the measured temperature dependence. Many physically interesting models show a quantum phase transition when a single parameter is varied through a critical point, where the ground state and the first excited state become degenerate. When this parameter appears as a coupling constant, these models can be understood as straight-line interpolations between different Hamiltonians HI and HF. For finite-size realizations however, there will usually be a finite energy gap between ground and first excited state. By slowly changing the coupling constant through the point with the minimum energy gap one thereby has an adiabatic algorithm that prepares the ground state of HF from the ground state of HI. The adiabatic theorem implies that in order to obtain a good preparation fidelity the runtime τ should scale with the inverse energy gap and thereby also with the system size. In addition, for open quantum systems not only nonadiabatic but also thermal excitations are likely to occur. It is shown that—using only local Hamiltonians—for the one-dimensional quantum Ising model and the cluster model in a transverse field the conventional straight-line path can be replaced by a series of straight-line interpolations, along which the fundamental energy gap is always greater than a constant independent on the system size. The results are of interest for adiabatic quantum computation since strong similarities between adiabatic quantum algorithms and quantum phase transitions exist. 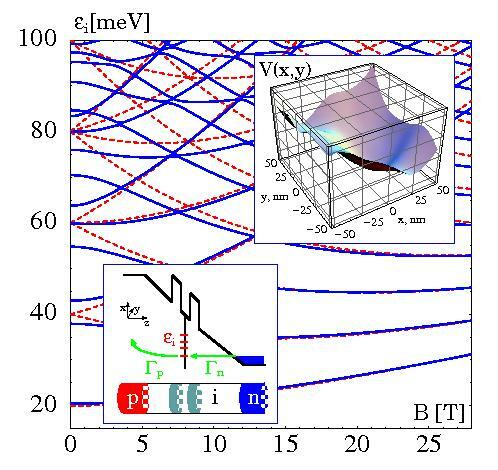 We present a scheme for creating and measuring entanglement between two double quantum dot charge qubits in a transport setup in which voltage pulses can modify system parameters. 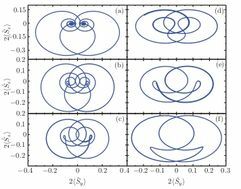 Detection of entanglement is performed via the construction of a Bell inequality with current correlation measurements. An essential feature is the use of the internal dynamics of the qubits as the constituent electrons tunnel into the leads to give the single-particle rotations necessary for the Bell measurement. We present a formalism to calculate finite-frequency current correlations in interacting nanoscale conductors. 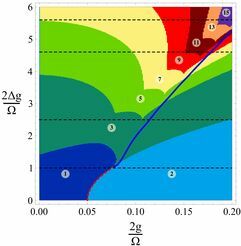 We work within the n-resolved density matrix approach and obtain a multi-time cumulant generating function that provides the fluctuation statistics, solely from the spectral decomposition of the Liouvillian. We apply the method to the frequency-dependent third cumulant of the current through a single resonant level and through a double quantum dot. Our results, which show that deviations from Poissonian behaviour strongly depend on frequency, demonstrate the importance of finite-frequency higher-order cumulants in fully characterizing interactions.